We are working on the characters for the game right now. They are mostly done, but there are always updates and changes. 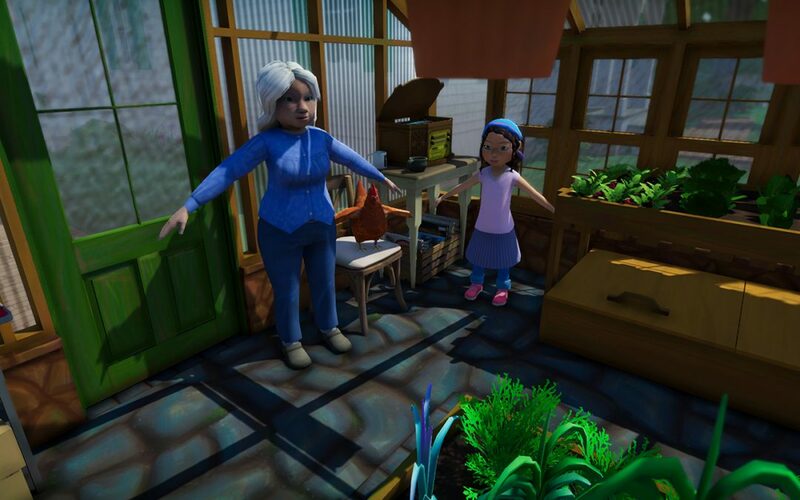 The grandmother needs a hat, and the chicken needs some reworking. However, the greenhouse and props are done for now. The next steps will be getting the rigs completed for the characters, and starting on the animations.